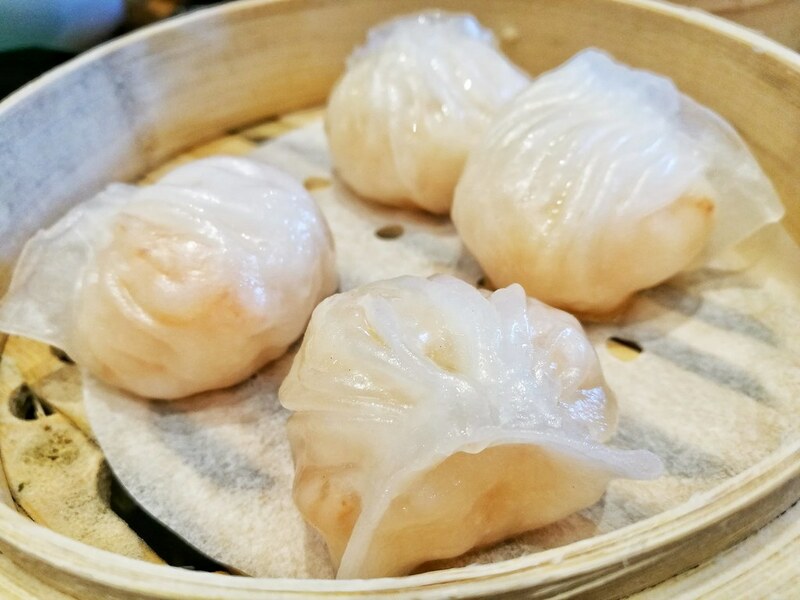 I have been hearing lots of stories about people who have tried dining at the Michelin-starred dim sum restaurant and I can really sense their excitement every time they put their experience into words. So when I got the invite for their media launch, I just knew that I can't miss it. And I was right. Now I know why people are so excited about it. 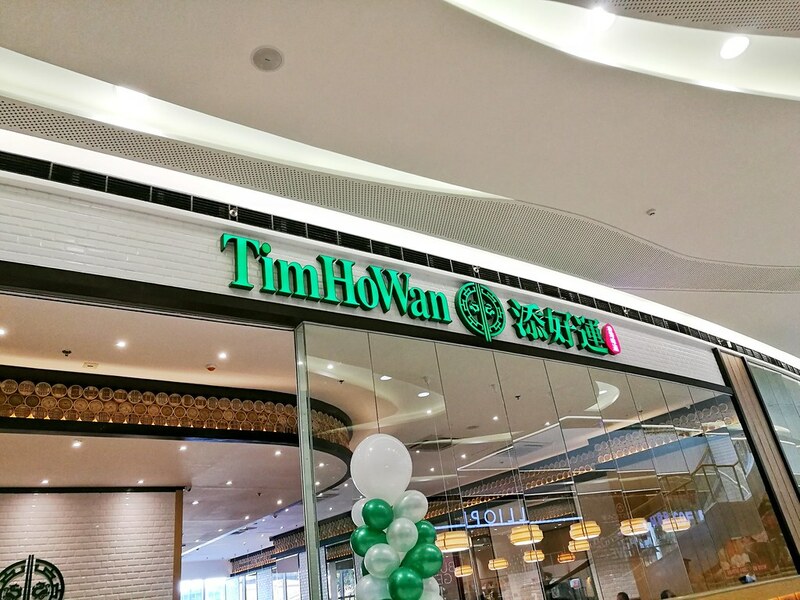 And I'm glad that finally, Tim Ho Wan, is here in Cebu! 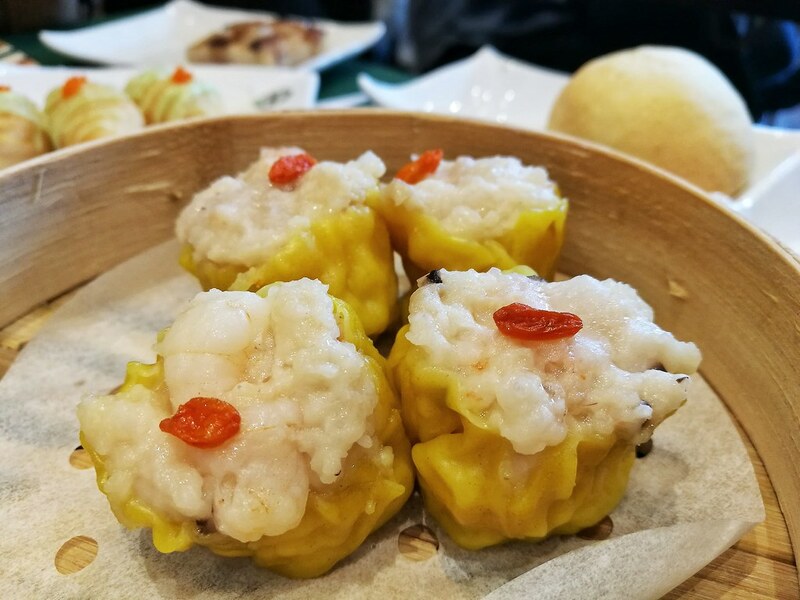 The Hong Kong's famous Michelin-starred dim sum restaurant recently opened their first ever branch in Cebu and their 7th branch in the Philippines. 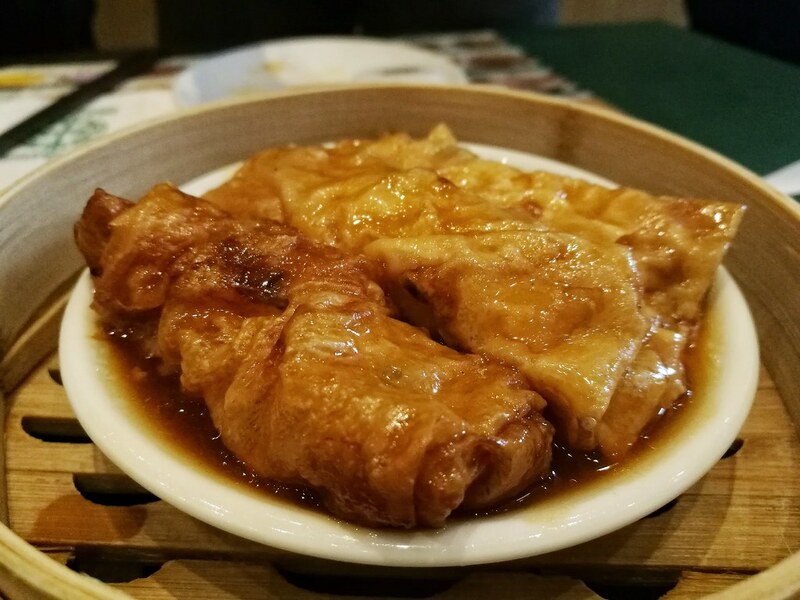 The fame of Tim Ho Wan started back in 2009 when Chef Mak Kwai Pui and Chef Leung Fai Keun opened a 20-seater hole-in-the-wall eatery in Hong Kong. It was only a year after when they earned the most coveted star in the 2010 HK and Macau Michelin Guide, the international benchmark of good food and the highest form of recognition in the culinary world. 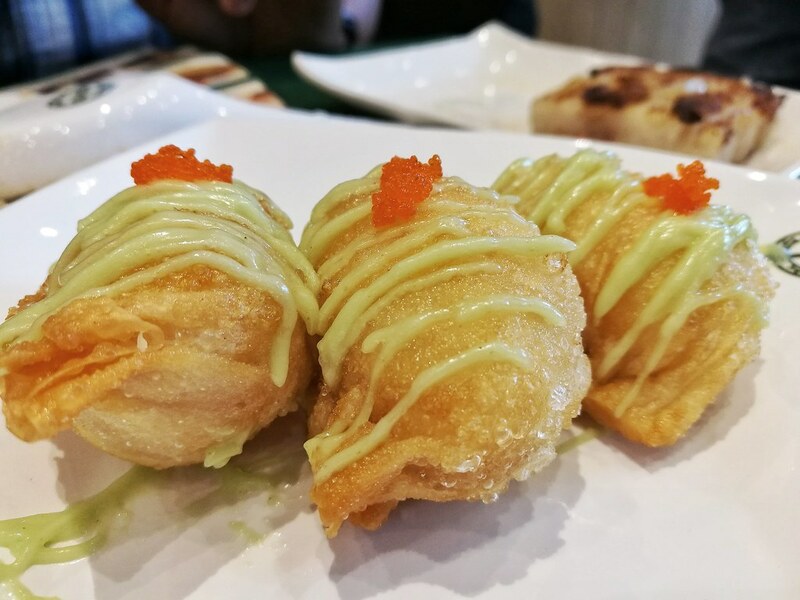 Which is why Cebuanos have been so excited knowing that this famous yum cha restaurant has finally decided to open its doors to the Queen City of the South. 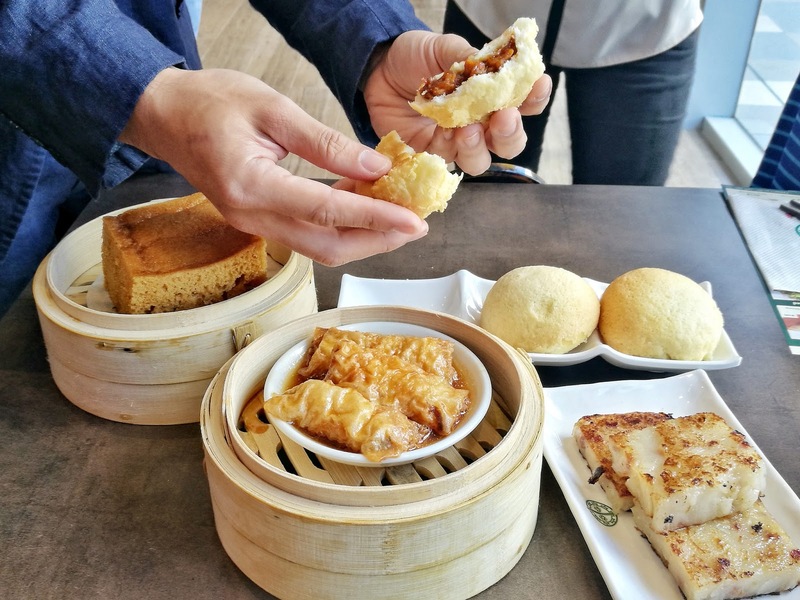 Here's a fun fact, Tim Ho Wan was actually the game changer in the Michelin guide where only fine dining and luxurious restaurants dominated the list before. When they earned the Michelin star, that sole recognition dished out the idea that good food need not to be expensive. 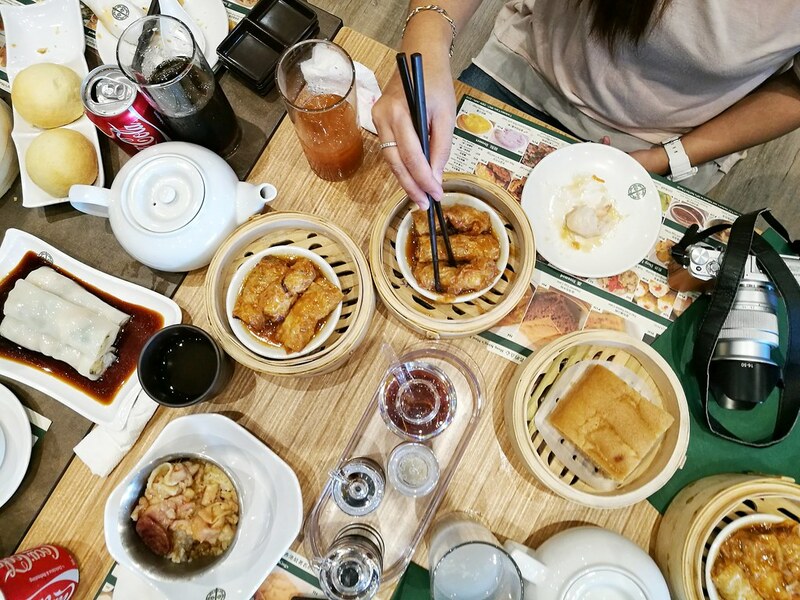 With no dish over Php 200, Tim Ho Wan is known as the "most affordable Michelin-starred dim sum restaurant in the world". 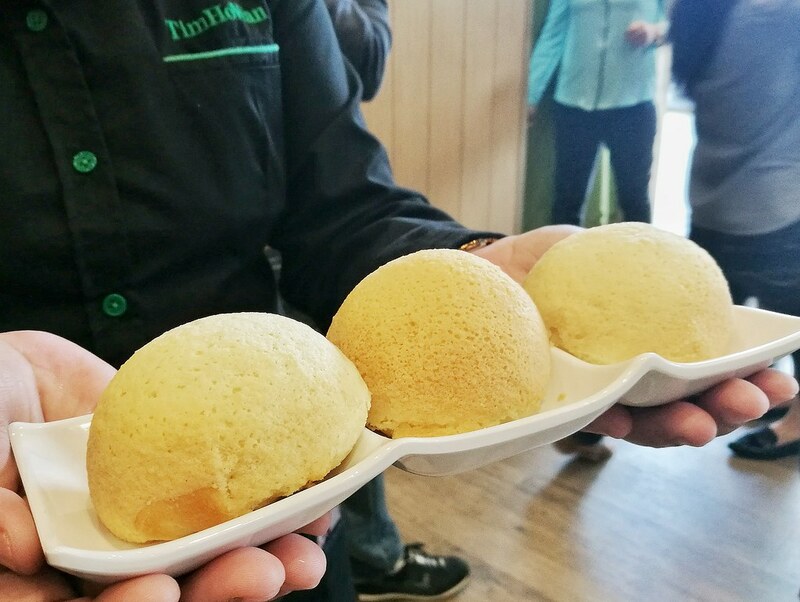 The Four Heavenly Kings are Tim Ho Wan's stars that customers really line up for. So if you're planning to go there, you shouldn't miss these four! Know more about each of them below. 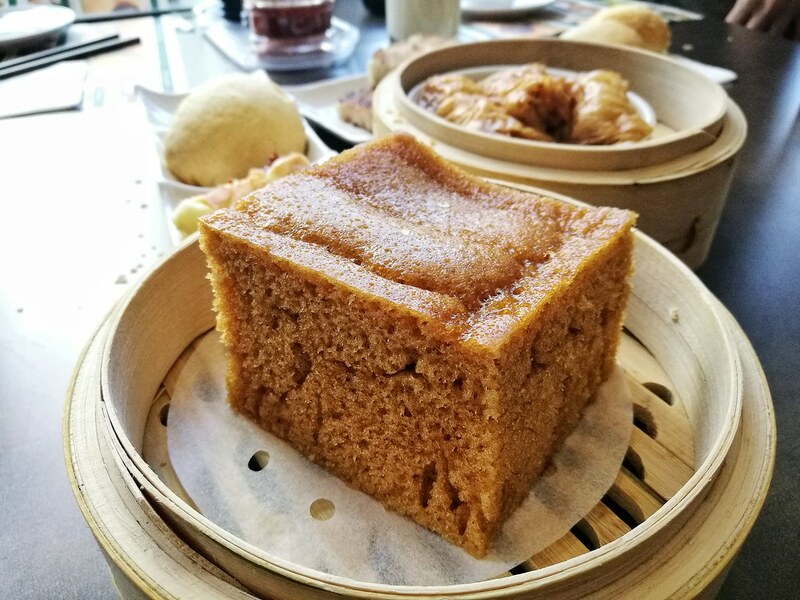 The Steamed Egg Cake is a light and spongy cake with a nice caramelized taste. And for only Php 85, you already get a huge slice of this fluffy cake. This cake is spiked with bits of radish to tickle every customer's taste buds. 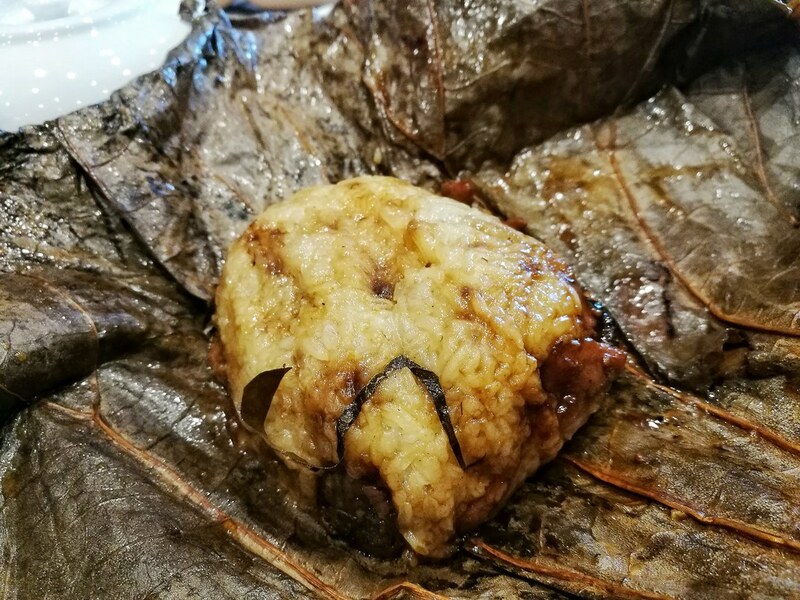 The Beancurd Skin with Prok & Shrimp is a silky and a thinly-wrapped combination of pork and shrimp which is a perfect combination in giving your palate a burst of flavors. 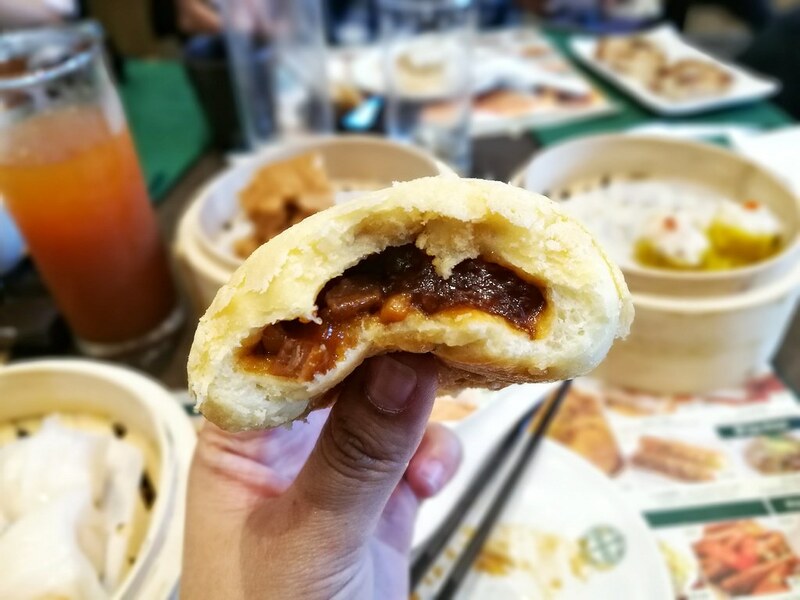 Now, this Baked Bun with BBQ Pork is the most famous among the four which obviously gave Tim Ho Wan its success and international following. This is what Cebuanos are most excited about and I have to say that it's definitely worth the wait. 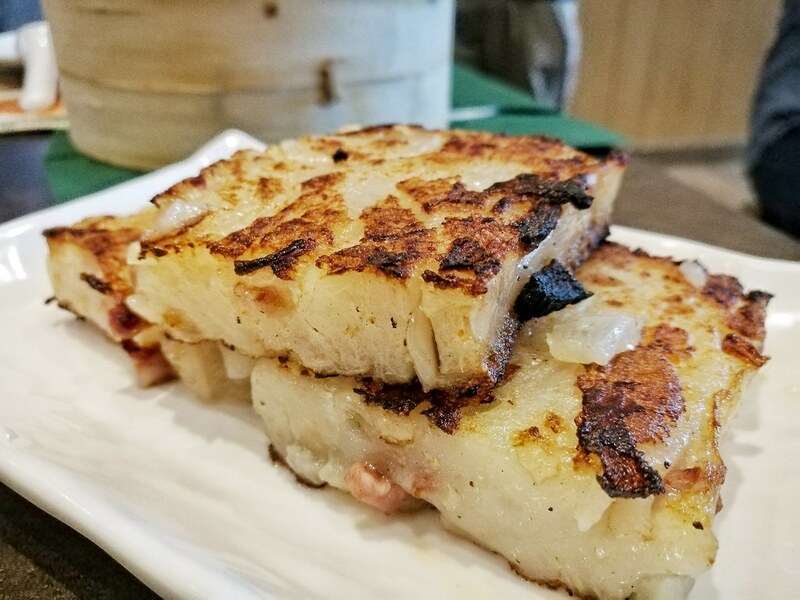 These pork buns are uniquely enticing with its crumbly and fluffy crust with the sweet-salty barbecued pork inside. I don't know how to perfectly describe it into words but here's one simple word for it: DELICIOUS. 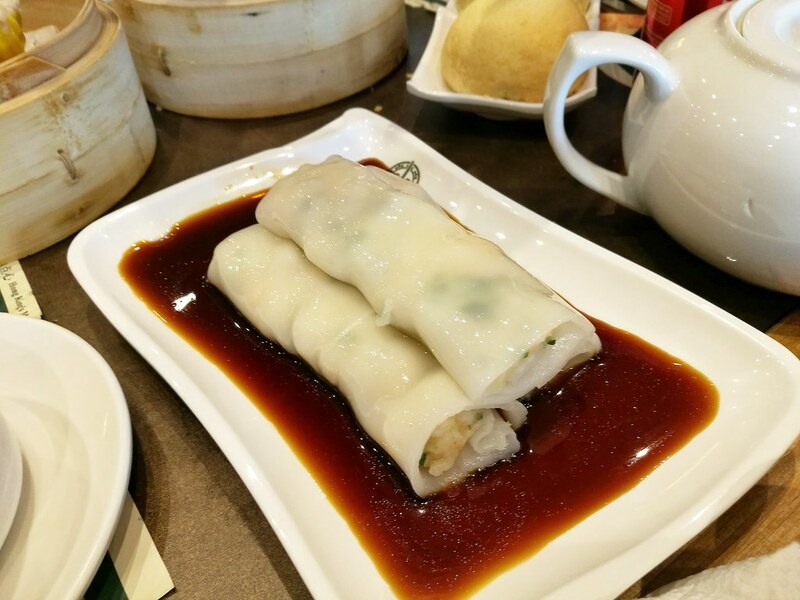 Tim Ho Wan also has other mainstays in their menu from around 30 classic Cantonese dim sum delights. Though I wasn't able to try them all but what I really loved among them are the Prawn Dumplings and Pork Dumplings with Shrimp. 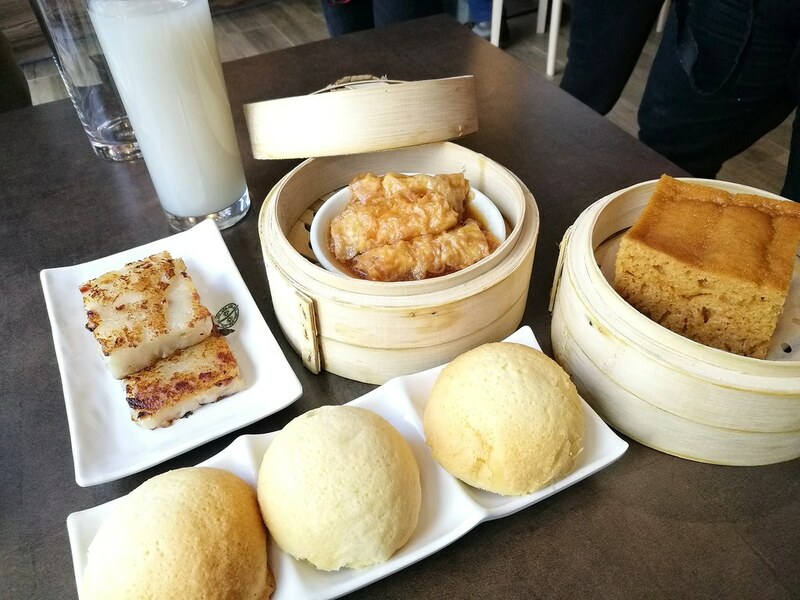 With all the exquisite flavors that I have tried during the media launch of Tim Ho Wan, I have to say that it is indeed worth the wait. I love how Tim Ho Wan continues to earn the acclaim of food critics and the hearts of their customers beyond Hong Kong. Good job, Tim Ho Wan! But wait... there's more! 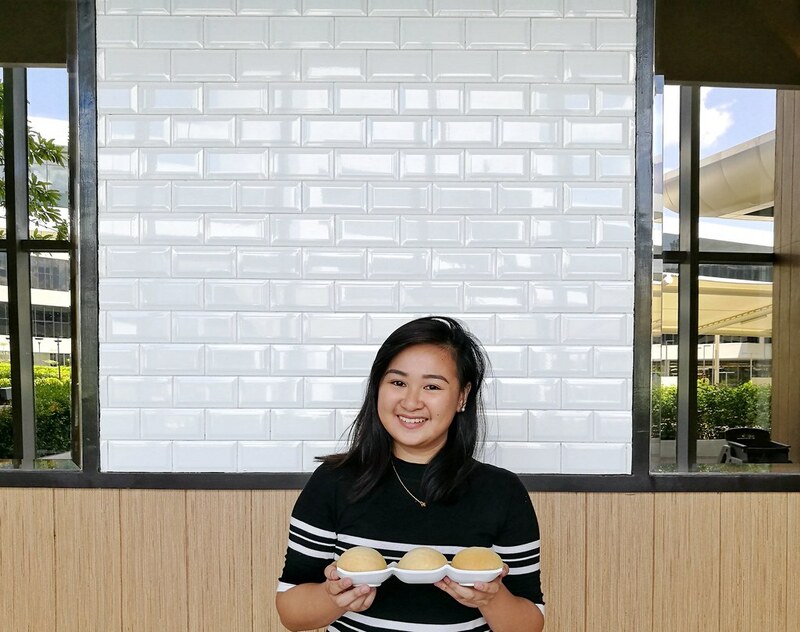 To celebrate their arrival in Cebu, Tim Ho Wan will be giving one complimentary order of Baked Buns with BBQ Pork every day to the first 100 customers with a minimum purchase of Php 500 from March 25 - 31, 2017! So hurry and grab those free pork buns while it lasts! Ang saraaaaaaaap! I haven't tried Tim Ho Wan yet bec of the lines (they tend to have long lines here) and hindi ko nattyempuhan na walang masyadong tao.